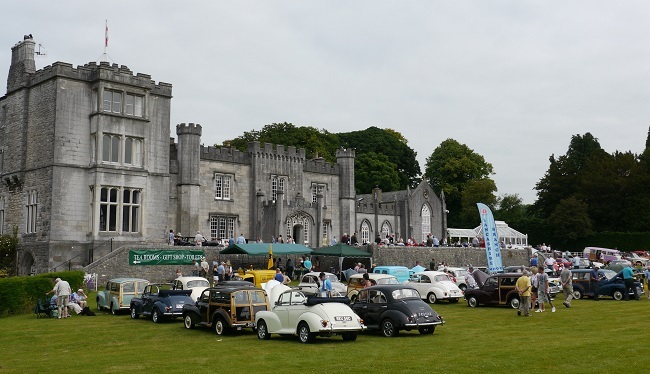 You don’t get more stunning natural scenery than this to display one of the largest collections of classic cars on show this summer. 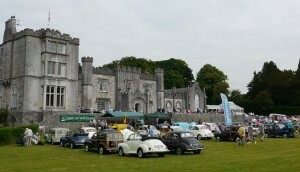 Set against the backdrop of the Lake District fells, Mark Woodward has over 500 historic vehicles heading for the 19th Leighton ‘Classic Car and Bike Show’ on Sunday July 1st. Home of the Gillow furniture making family, this lived in historic house, near Carnforth, Lancaster, is historically more used to wood-turning than wheel-spinning, yet now has a reputation for one of the most comprehensive and diverse shows in the summer classic car calendar. For the driving devotee, there’ll be a huge display of classic vehicles; not just classic cars including MGs, Austin 7’s and Triumphs, but a full fleet of motorcycles, vans, trucks, 4x4s, military transport as well as beautifully restored commercial vehicles. As well as the chance to chat over the chamois with enthusiastic owners, highlights of the show include full arena displays and commentary throughout the day, plus trade stands, club displays and the ever-popular auto-jumble where you can pick up that elusive bargain, spare part, or classic insignia. Leighton Hall is located 10 minutes’ drive from junction 35 of the M6, and well-signposted. 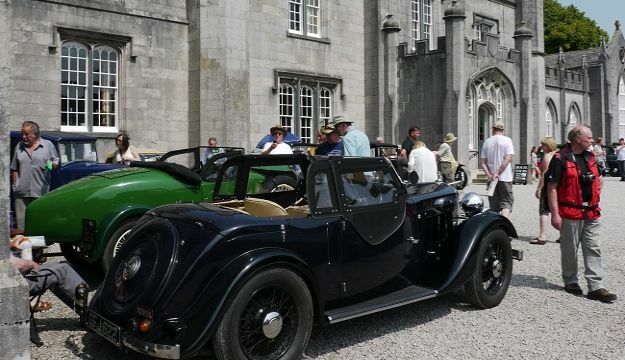 Private classic cars are warmly invited along, so it’s a great opportunity to show off your pride and joy in the summer sunshine. Well-behaved dogs are also welcome in the park, so no-one need miss out! Admission is £7 per adult and £2.50 for children and includes admission to Leighton’s grounds, gardens, woodland walks, play area and tea rooms. House tours run from 1pm for a small additional charge. This is one of 2 motoring events in Leighton’s calendar this year. The Leighton Hall Motorcycle Hill Climb takes place on Sunday 23rd September. See www.leightonhall.co.uk for details. Organiser Mark Woodward says; “I say it every year but there’s nothing like seeing the displays of classic cars on the terrace with Leighton as their backdrop. There’s a mile long private drive with stunning views too, so this event is joy to drive to as well!